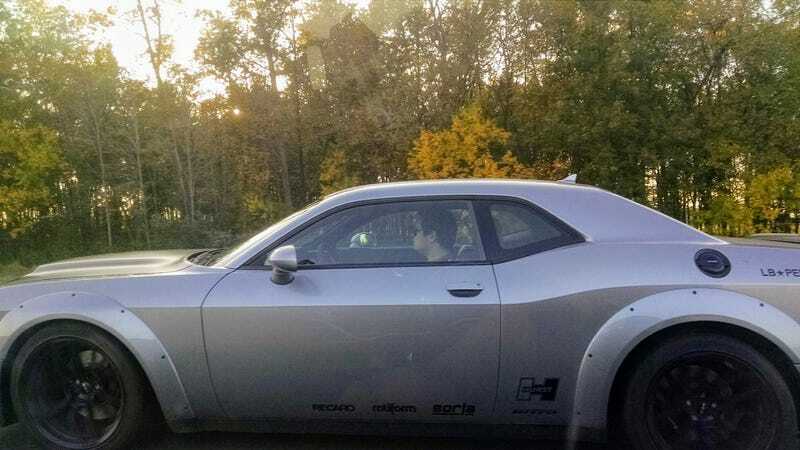 Widebody Challenger with Michigan manufacturer plates. Heading south on I-75 somewhere around Bowling Green, OH. Sorry for the low quality pics, I was driving so my brother-in-law law took these for me on his first-gen Moto X and then sent them to me through Facebook messenger.